Product prices and availability are accurate as of 2019-04-21 10:24:22 UTC and are subject to change. Any price and availability information displayed on http://www.amazon.com/ at the time of purchase will apply to the purchase of this product. 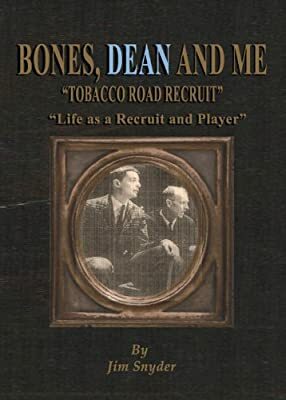 Author Bookstand is proud to offer Bones, Dean and Me by Bookstand Publishing. Bookstand Publishing offers books by the best indie authors throughout North America and the world. Bookstand Publishing is dedicated to offering original content to a broad audience and promoting great authors, literacy, and freedom of expression. 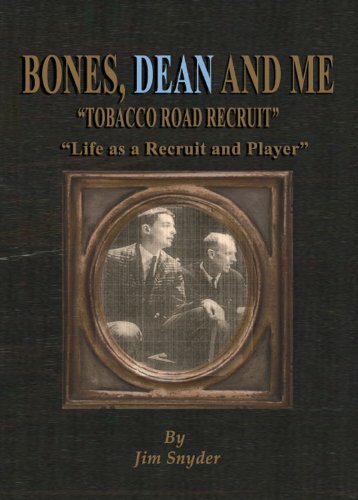 Bones, Dean and Me has generated a lot of interest and excitement and we think it would be an excellent addition to your library. 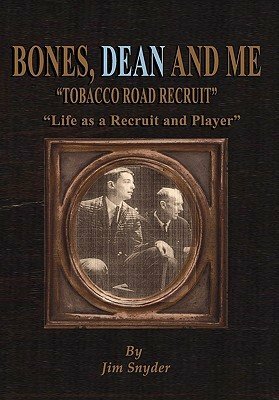 Bones, Dean and Me is the story of a boy who was recruited to play college basketball by Dean Smith of North Carolina and by Bones McKinney of Wake Forest during the formative years of Coach Smith and the concluding years of Coach McKinney. At the same time the athlete is pursued by the Morehead Scholarship Committee at UNC. He first accepts the Morehead scholarship and signs an Athletic Grant-In-Aid with Coach Smith only to "flee" to Wake Forest at the last minute because of a multitude of life's challenges. In North Carolina his path was crossed by Billy Cunningham, Larry Brown and a host of Tarheel greats. He transferred to Wake Forest and played with Brian Piccalo and for Wake Forest during the 1965, 1966 and 1967 seasons. The question is posed within, "why would any sensible young man eschew Coach Smith and the Morehead Scholarship (one of the nation's elite awards) and an opportunity to play in the Final Four in favor of playing with Wake Forest?" The second half of the book involves stories along "tobacco road" playing Division I basketball not only in the ACC but also at Ohio State, Purdue, Cincinnati and at many venues such as the Palestra, Cameron Indoor and St. John arena. It is believed that this is a story never told; i.e. the story of an atypical recruit at a time in America just before integration and just as big time college basketball became "big time".